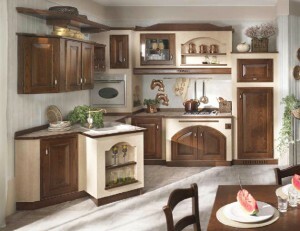 Having a kitchen of your preferred style and design will help you move easier to every corner of the room. Proper storage of pans, spatula, plates, canned goods, condiments and other kitchenware will help you do the kitchen chores smoothly. Here are the essential elements you may want consider having in your kitchen. Every kitchen must have spaces where one can work and store utensils. And the best pick for this is a base cabinet with countertop. These items are usually purchased together but the materials to be used are separately decided. Since cabinets and countertops eat up most of the kitchen area, it is important to choose the colours and materials carefully. 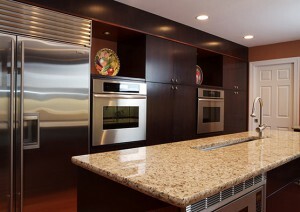 Durable and easy to clean flooring is the best type of flooring for kitchens. You can choose from various flooring materials like tiles, laminates, vinyl and woods. It can also be pure concrete that is carpeted, rubberized, painted or stained. You can also view catalogues and showrooms of different floor shops for better product viewing. Sleek and modern, comfortable and homey, or retro and vintage, whatever style of appliances you want for your kitchen there will always be choices in every category. Aside from the physical appearance, you also have to pick those that are really essential. For example, a simple cook may only want a basic gas stove, but the gourmet cook might want a gas stove with built-in oven and a couple of heat burners. Most kitchens today are equipped with a number of essential appliances like refrigerator, dishwasher, stove and microwave.